More than a dozen members of Central Okanagan Search and Rescue responded to an injured mountain biker in Myra-Bellevue Provincial Park around 4:30 pm Tuesday. The cyclist, part of a large group, crashed near the top end of the Lost Lake Trail and required medical attention. While her group did what they could to comfort the victim, their leader realized more help was needed and called 9-1-1. Two members of COSAR’s e-Bike team made initial contact with the subject through an access gate on June Springs Road. 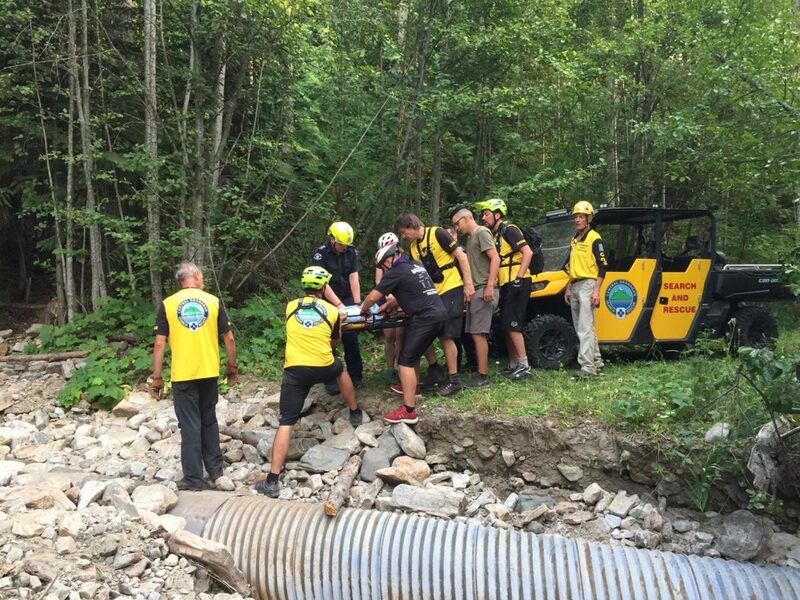 The UTV team then provided transportation for two members of the BC Ambulance Service who provided further assistance. The subject was transported to the waiting ambulance and is being treated at Kelowna General Hospital.